Karan Johar’s Kalank starring Varun Dhawan and Alia Bhatt is creating a buzz since the teaser was out. As the releasing date is coming near makers are dropping the looks, the songs one after the other, earlier it was Alia and Madhuri Dixit’s song 'Ghar More Pardesiya’ and now its Varun Dhawan’s time. Since the first song of the movie is out people are watching the song on repeat mode, seeing Alia doing Kathak was really unexpected but she pulled the look very well. Now as the second song that will be releasing today that is Friday people cant stay calm and are eagerly waiting to see Varun doing ‘First Class dance’. Yes, the song is titled as First Class isn't it exciting but the story doesn't end here. Hold your hearts folks because it's not just Varun who will be seen in the song rather he’ll accompany this hot sizzling actress of B-town and its non-other than Kiara Advani, we will be seeing her doing the item number in this song. In fact to promote this song both Varun and Kiara made a video and posted it on Instagram, check the video below. When asked Pritam Chakraborty who has given the music to this song said that this song is made like the one in the 50s where they can give the look of mohalla and can be a fun song. He also added that when Varun listened to the track for the first time he got excited and loved the song as he likes the song which has fun and masti element in it. 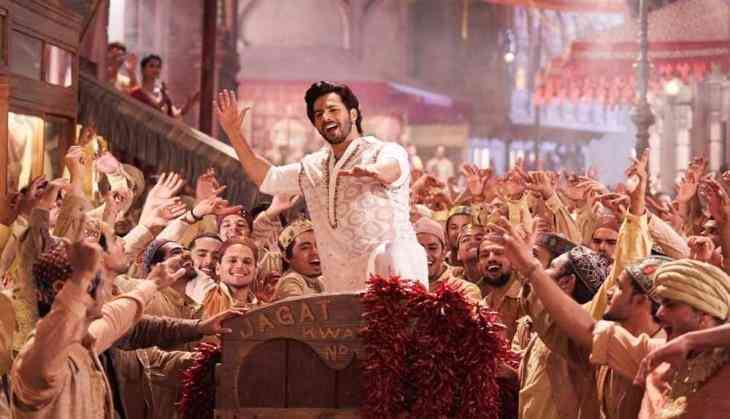 The movie Kalank is helmed by Abhishek Verman which is slated to hit the theatres on 17th April this year starring Varun Dhawan, Alia Bhatt, Madhuri Dixit, Sanjay Dutt, Aditya Roy Kapur, Sonakshi Sinha.